gastronommy.com: Moleskine Passion's Recipe Journal is on the shelves! 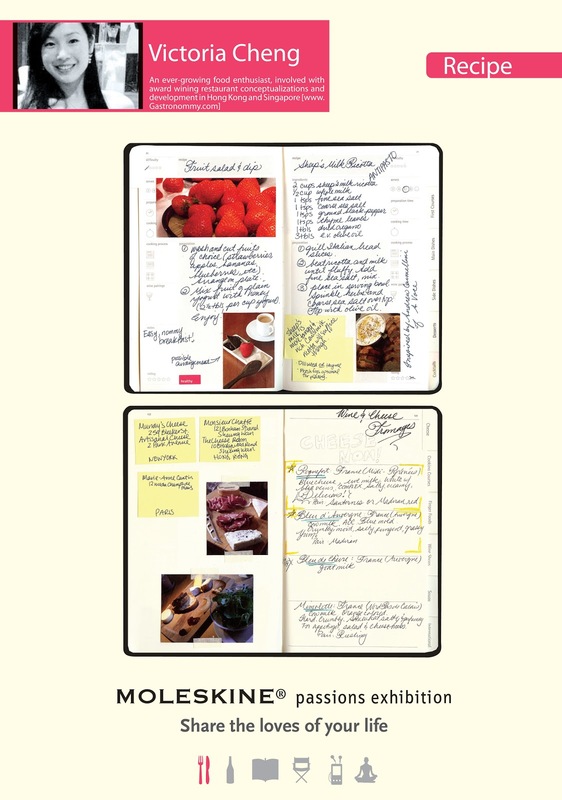 Moleskine Passion's Recipe Journal is on the shelves! Let's get away from the internetseriousbusiness posts and back to the usual lightheartedness that is Gastronommy, shall we? My notebook displays are now out across Asia! I guess I shouldn't have given them the same profile photo as I'm using on this site. 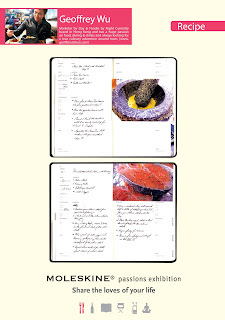 The low res photo came out all pixelated on the Moleskine posters! haha! So here are the posters! It's kind of funny, they used the same 4 pages I chose to display in a previous post about this. 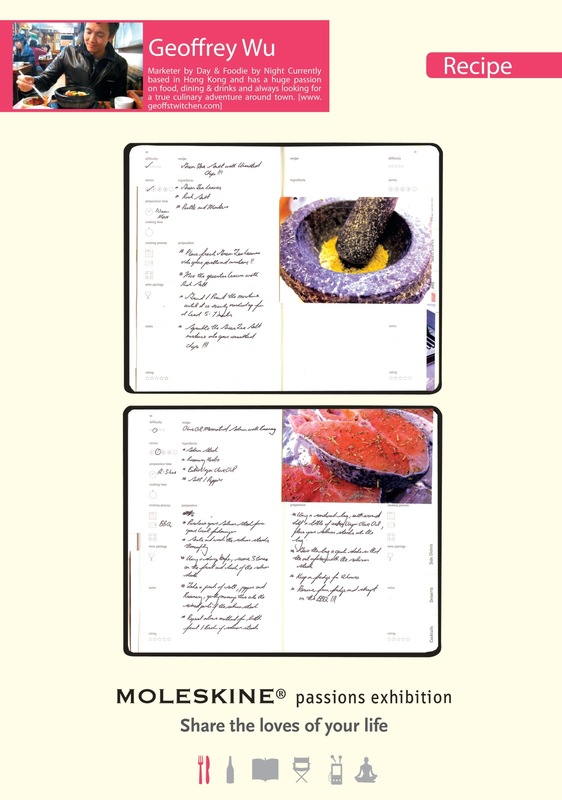 I should have taken photos of all the pages of my hard work, since I had to give the notebook back :'( There were also written shoutouts to those of you whom I knew enjoyed a particular recipe of mine. And here is Geoff of Geoffstwitchen and a sample of his lovely Moleskine journal! If you've come across these posters, give us a shout on Gastronommy/@victoriacheng/@gastronommy! I myself haven't seen them yet (haven't been to the locations this week). As for what else I'll be posting about, upcoming are some more food and beverage adventures in Hong Kong! i didn't see yours vicky! i was at the page one in times square... =( scold them.